• From the new office, the Bank will offer advice and financing to its Spanish clients seeking to grow in North America, as well as to Canadian companies with interests in the Iberian Peninsula. • On the American continent, CaixaBank has representative offices in six countries: Canada, the United States, Colombia, Peru, Brazil and Chile. 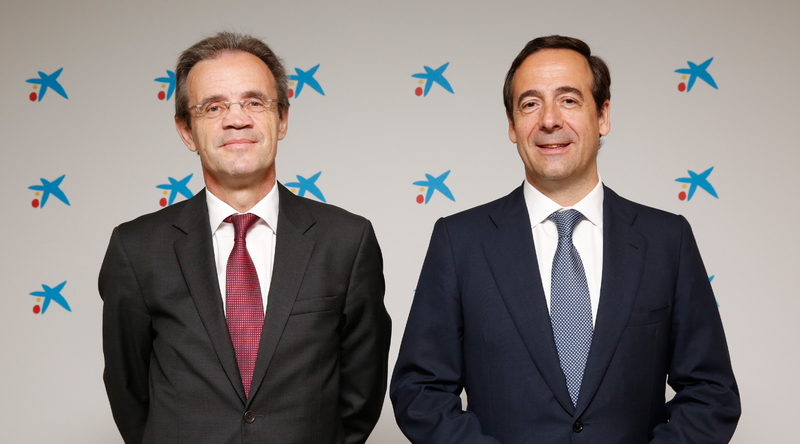 CaixaBank, the number one retail bank in Spain, has become the only Spanish bank to have a physical presence in Canada, after opening its first representative office in Toronto. With this move, the Bank is boosting its internationalisation strategy, which it has accelerated in recent years. Additionally in 2018, the Bank has opened a representative office in Sydney (Australia) and it has obtained a licence to operate as an operational branch in Paris (France). The Toronto office is CaixaBank's first to open in Canada, and the second in the North American market following the opening of the New York office in 2015. On the American continent as a whole, CaixaBank has representative offices in six countries: Canada, the United States, Colombia, Peru, Brazil and Chile. From the new office, located on Bay Street, at the heart of Toronto's financial centre, CaixaBank will offer support and advisory services in the fields of foreign trade, company banking and corporate banking to Spanish companies with interests and operations in Canada, as well as to Canadian multinationals and companies that operate in Spain. In this way, CaixaBank is seeking to consolidate its position as a benchmark bank in Canada for companies operating in the two countries. Leading the team will be Bárbara Carmona, from CaixaBank’s branch in London. Canada is a country that offers significant benefits for Spanish companies. The ease of doing business there, its attractiveness for trade and its financial stability all make the country a market full of opportunity. Canada is the 22nd easiest country in the world for doing business, according to the Doing Business 2019 ranking by the World Bank. Trade relations between Spain and Canada are on the increase, making Canada an increasingly important trade partner for Spain. In 2017, Spanish exports to Canada grew by 10.5%, while Spanish imports from Canada increased by 30% in the same year, according to data from the Spanish Institute for Foreign Trade (ICEX). Currently, CaixaBank has international branches in the United Kingdom (London), Germany (Frankfurt), France (Paris), Poland (Warsaw) and Morocco (Casablanca, Agadir and Tangiers). The bank also has 18 representative offices spread across the five continents: Milan (Italy), Istanbul (Turkey), Beijing, Shanghai and Hong Kong (China), Dubai (United Arab Emirates), New Delhi (India), Cairo (Egypt), Santiago de Chile (Chile), Bogotá (Colombia), New York (USA), Singapore, Johannesburg (South Africa), Sao Paulo (Brazil), Algiers (Algeria), Lima (Peru), Sydney (Australia) and Toronto (Canada). CaixaBank is the only Spanish bank with a physical presence in the Australian market, in the Southern Africa region and, now, in Canada. Similarly, CaixaBank holds agreements with international banks, making it easier for companies and individuals from any country in the world to engage in international transactions and foreign trade. This year, CaixaBank was named the “Best Confirming-Bank Partner for Financing in Emerging Markets 2017” by the International Finance Corporation (IFC), an entity of the World Bank Group, as part of the Global Trade Finance Program (GTFP). CaixaBank was also the first financial institution in Europe to obtain the AENOR certificate for its financial services and customer care in International Banking.